He's probably the most badass dude ever to drive an ice cream truck. 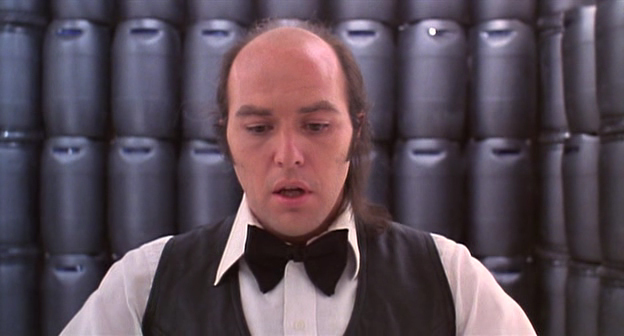 In Don Coscarelli's Phantasm and its three sequels, Reggie Bannister faced off against the forces of the Tall Man, killer midgets, and a whole passel of silver spheres. In more recent years, he's become a dependable face in numerous independent horror productions (including Robert Kurtzman's The Rage, which makes its MonstersHD.com debut alongside George A. Romero's Day of the Dead this Thursday, November 27th). Last week, I had a chance to talk with Reggie about his career. What was supposed to be a quick fifteen-minute chat morphed into a full half-hour, as we delved into the staying power of the Phantasm series, the importance of music in his life and work, his production company, and how 2009 will be the Year of Reggie. 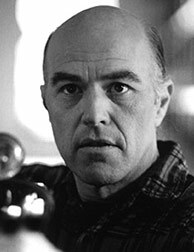 Classic-Horror.com: Let's start with Phantasm. You'd worked with director Don Coscarelli before Phantasm. Reggie Bannister: Exactly. I had done two films with him. Actually, my very first feature film was with Don. It was a thing called Jim the World's Greatest. It starred Gregory Harrison, I don't know if you remember Gregory Harrison, but he had a MASH spin-off series at one point. That was his first film, too. He had just come over from Catalina to do the film and to kind of live in the LA area and see if he couldn't get more. That was Angus's first film with Don. So there was a lot of firsts in that first picture, it was called Jim the World's Greatest. And then right after that, we did a picture called Kenny and Company, which was the first time that any of us worked with Michael Baldwin. Angus was not in that film. We shot that and put that out in about '76. You can get that, actually, on DVD with a lot of extra, neat stuff on it... Anchor Bay has that available. So, yeah, two films before Phantasm. C-H: And they were comedies, dramas, pretty normal fare. And then you get this really weird movie up next. Bannister: Don has always told me that the reason that he wanted to do Phantasm was because Kenny and Company, which is a coming-of-age movie, takes place around the Halloween period. So these kids really get into Halloween and they start doing all this stuff. And there's a couple of jump scares, and Don, while sitting with audiences in the dark, really enjoyed the crowd reaction for the jump scares. So he decided at that point to do a scary film, and then there's Phantasm. 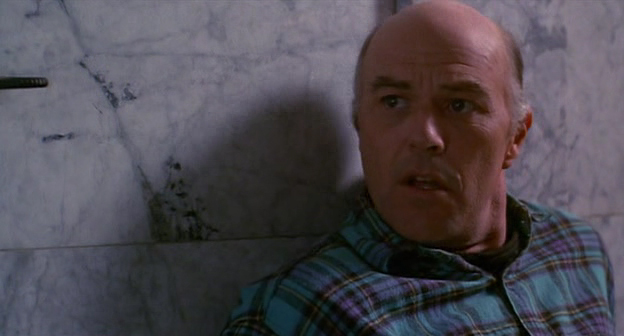 C-H: How do you feel about the fact that the Phantasm phenomenon has lasted for nearly thirty years now? Bannister: Thirty years next year. Well, I think it's terrific. I think it's a terrific paradigm. The story's always been told in a really entertaining fashion. So, in one sense I'm not surprised. In another sense, I'm surprised that it's bubbled along. It hasn't been like the Friday the 13th series or the Nightmare on Elm Street series, where they just banged away and did one right after another until now, I mean gee whiz, there's a lot of those sequels. This one has just kind of taken its time, just kind of slow boil, with four films over thirty years. And I think that that's kind of neat, because that means that other generations are watching watching watching that never even saw the first or the second film. I think that it's a testament to good storytelling and some pretty fine acting as well. C-H: Your character starts out in the first film as the third lead, and then in the second one, you rise to equal standing with Mike, and then in the third one, you're pretty much front-and-center, the main guy. How was that for you? Bannister: It was gratifying, because the character didn't stop growing, and I think still has not. 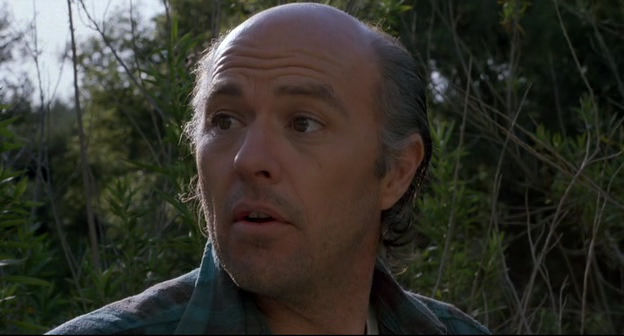 If you follow him through Phantasm IV, that character is still becoming even deeper and three-dimensional as it goes. So for me as an actor, for one thing, it was terrific that Don kind of modeled the written character after his relationship with me. And then we kind of blow him out of proportion, away from my particular, personal character. He's a lot of fun to play, he's become, really, every man's man. “What would I do in this situation?” Well, y'know, that's always what you're thinking with the Reg character. So yeah, I was very pleased that he became such a significant character as the series grew. C-H: You brought some of your musical background into playing the character. Bannister: Actually, I've been playing guitar since I was fifteen, and I was singing before that in school choirs and so on and so forth, and even musicals and stuff like that. By the time I had done Phantasm, and actually by the time I met Don, I had already been through a whole career of music. I was a founding member in a group called the Young Americans, and then I had a couple of folk groups between the Young Americans and when I auditioned for a group called the Greenwood County Singers -- Van Dyke Parks and his brother Carson. That was a big folk group. We immediately started doing very well. We put out an album and had a hit immediately on a song called “The New Frankie and Johnny.” This was all in the '60s. Y'know, we were doing TV, we were the lead act at the Ice House in Pasadena. We played all over the country. We were on a Robert Goulet tour at one point and did Red Skelton's show and did the Hollywood Palace with a bunch of people – Wayne Newton, and George Burns was the host of the show. I've worked with Bing Crosby, Bob Hope – I mean, it was pretty deep and wide there, Nate, in my early musical career. I actually got my draft notice... My folks brought it up to me in Lake Tahoe in 1966. I was working on The Andy Griffith Show with Roy Clark and some other people. I had two weeks, Nate, from getting my notice at that show in Lake Tahoe and making real good money to having to appear at Fort Ord in Northern California and be kidnaped for two years. So then I came back out of that, and that's when I started another group, and I went back to school. I just kind of immersed myself in acting in college. I was doing a play – I was working a lot in college plays. I was doing a play and this guy called me one morning on the weekend of the play and said, “Hey we saw you and we like your music” -- because I played music in the thing. And he says, “We have a part for you.” And that's when Don offered me Jim the World's Greatest. Yeah, music has played an important part in my life and of course we did that little musical scene in the first Phantasm, but also, in Phantasm IV, I wrote a piece that was in the roll-up, called “Have You Seen It?” I wrote and performed that. So I've been kind of involved, musically, with Don from the very beginning. In Kenny and Company, I actually wrote a lot of the themes, and I put the studio stuff together with all the singers and musicians, worked with Fred Myer on that. So, yeah, it's been an important part of my life, even through the acting. Bannister: Right. It's interesting, it's been interesting, because Gigi, my wife, is a terrific special effects artist. That's everything from special effects to a little bit of pyro to a little bit of the more mechanical effects. What would happen in a situation like that – for example, there's a picture that we did called The Final Curtain which was later released to DVD as Acts of Death. So I played this character in the piece, but Gigi was also hired as a special effects artist. So, when I wasn't acting, I would help her with special effects. And then, after I shot my character out, after about a week-and-a-half or whatever, I just stayed and helped her – we were in Michigan at the time – I stayed and helped her with special effects. So, it was really cool, I got that special effects credit. And then we've been -- Production Magic, Inc. has been associate producer on several pieces. And right now we're co-producing a project that we're working on even as I speak to you. So, yeah, we've kind of gotten in all aspects of it, and our production company has been incorporated in California for, gee, I wanna say thirteen years. So we've been plugging along with that and still taking care of business with the acting and the music. I put out a new album at the beginning of this year. So yeah we've been keeping real busy. C-H: I do have to ask the question, because there's a new rumor about this every year – a new Phantasm movie? Bannister: If I told you, I'd have to kill you, Nate, and I just don't want to do that. Y'know, there's nothing I can really tell you about that. That rumor does pop up. As a matter of fact, there was something that was on IMDb and it may even still be there. Like, when you go to Don's IMDb page or my IMDb page or Angus or any of us, it says that we are working on Phantasm V. Yeeeeah, we're not working on Phantasm V, I gotta tell ya. I hate to tell you that. I would like to tell you that, yeah, we're working on Phantasm V, the feature, and we're doing it, but I can't say that. C-H: But it's always a possibility. Bannister: Y'know, we always hold out hope and hope springs eternal and all that. Like I said, it was ten years before we did Phantasm II, and I don't really think that had anything to do with the industry. I think it had more to do with Don wanting to do a different feature. He didn't want to get locked into a sequel situation after the first Phantasm. As I understand it, he was offered those opportunities by some companies, but he declined. C-H: He does appear to be a director who's choosy about what projects he takes on. Bannister: He is. He picks and chooses his stuff. For example, Beastmaster – he wrote that. But he wasn't crazy about the working relationship -- this is what I heard from him -- he wasn't crazy about the working relationship with how it all came together and he wasn't really interested in making a sequel. So he just, as I understand it, he just kind of gave it away and then of course, it went on and became a series and all that. But yeah, I think, you look at his body of work and you look at the early pictures as well, the early pictures are really neat. Kenny and Company a really good coming of age picture. We actually showed [Kenny and Company] – I live in a mountain community here in California, it's called Crestline. It's a small community and my wife and I do things for the community. We have a non-profit that we have here called the Crestline Creative Arts Foundation, and we teach kids how to make film. As a matter of fact, we've got some of those kids interning on this project that we're doing now. They really get a lot out of it. In some cases, we've seen it change their lives. “Wow I wanna be in film, I wanna be in film. I wanna work on film, I wanna be an actor, I wanna be a director.” We're seeing kids lives change and it's really gratifying. So yeah, we're in a lot of things here. So we do the Crestline Creative Arts Foundation, showed Kenny and Company. We brought a blimp screen, y'know a blow-up screen, and we did it out by the lake, Lake Gregory. Had a great little crowd, they all enjoyed it, and I think we're gonna do some more this summer. We also showed Bubba Ho-Tep out at the local community bowling alley and had forty or fifty people there and they just went nuts. But I think the biggest thing I've ever seen at an outdoor venue was a few months ago during the summer, Hollywood Forever Cemetery, which has a whole lot of celebrities interred there. I mean, y'know, Marilyn Monroe is there, Bob Hope is there, everybody's pretty much there. So they have this film series during the summer and people just come and sit on the lawn and they watch a movie projected on the mausoleum wall. And they decided to show Phantasm. C-H: Oh that has got to be creepy. Bannister: Oh, dude, it was absolutely amazing. A friend of mine called me and said, “Hey Reg, we're gonna show Phantasm and it sure would be cool if you could be there.” And so I called Don and said, “Hey it sure would be cool if we could be there.” And he called Angus -- “Hey it sure would be cool...” (laughs) Anyway, me and Don and Angus and Kat Lester [who played the Lady in Lavender] went and introduced the movie. It was right during the time when Anchor Bay was releasing Phantasm IV [on DVD]. So Anchor Bay was able to come up and do a little contest and they gave away a few DVDs before the show. But I'm telling you, man, there was 6000 people there. I mean, it looked like a cemetery Woodstock. Y'know, the smell of success was filling the air. (laughs) So, everybody brought their weed and their wine and their beer, and it's really neat. You sit on the lawn and just enjoy a movie, but in this case, it was Phantasm and it was absolutely amazing. C-H: I don't know if I could sleep after an experience like that. Bannister: It was so cool, man. As a matter of fact, we went and sat down and I look over and here's Clu Gulager sitting next me, a friend of mine. You know Clu? C-H: Oh yeah. Return of the Living Dead and Feast and whatnot. Bannister: He was so great in those things. And I had no idea he was going to be there. And I was, “Clu, what are you doing, man?” “Well, I heard you guys were out here, so I just had to come and see it.” So we sat there and laughed our asses off and had fun. It was good. C-H: You've had a very busy time lately. I think you've done twice as many films in the last four years than you did in all of the time previous to that. Bannister: Yeah, y'know, I made a decision in 2004, the first part of 2004. I've always been a union guy, I've always been a Screen Actors Guild guy, from the time we did the first film. I think there was one break where I wasn't in the Screen Actors Guild and that was when we did Phantasm, which is funny from a lot of different, ironic directions. But I rejoined just shortly after that. Anyway, the Screen Actors Guild has an interesting attitude about their membership, and that attitude is, if you're gonna do a non-union film... Well, number 1, you can't do a non-union film. They don't want you to do non-union films. If they find out you've done a non-union film, they can either fine you or take your card away. So, I was very nervous about that. I got offered a film in early 2004 called Cemetery Gates. That picture was not going to be a union film, but they wanted me to star in it and the money was really nice. We had just come through the wildfires here in Southern California. We had been evacuated and we had lost a lot of money in that situation, because we were actually operating a haunted attraction up here. I don't know, you probably don't recall, but that big fire back in 2003 happened in mid-October. So we had to evacuate the mountain between mid-October and November 2nd, so that Halloween thing was shot for us and all the money we put into the house was pretty much shot as well. Anyway, long story short, I decided that I really needed to take this picture. And my friend Andrew Divoff had told me about this status with the union you could take called “Financial Core.” If you ask for that status, there were certain ramifications; it didn't change the fact that they would handle all of your residual checks and handle anything that was SAG-related, but you could do union and non-union stuff. So I made that decision in 2004, and it was a pretty tough decision, but I've never regretted it, because I've worked more since 2004 to date than I ever worked before. So I'm happy that I did that, and people keep calling me all the time, “Hey we got this script,” and I'm like, send it, sure. Always ask if [they've] got the money together, because I don't like to read scripts, y'know, invest myself in a character, and then not have it happen. That's a drag. This project that we're working on now is the seventh film project this year. It's been real good, Nate, and I'm very grateful for it. C-H: What can you tell us about what you're working on right now? Bannister: Well, gosh, there's one called Text that I think is probably going to get distribution pretty soon. Very interesting film. When I read the script, I kind of went, “Wait a minute, this is weird,” because the character's name was Reggie. Bannister: But, wait, there's more. He drives a Challenger, a '71 Challenger. He's a campus cop. There's some bad stuff going on in the campus, kids are dying, stuff like that. He's trying to figure out what's going on, he's trying to protect his granddaughter who's on another campus in another small town just down the road. But it's a real smart script and I think they'll get good distribution with it. Also, I gave them some of my music and they liked it, so my music is actually in the picture. So I'm looking forward to that. And of course, The Rage, is now on Monsters HD. C-H: Right, they're going to be streaming that for free on MonstersHD.com over Thanksgiving weekend. Bannister: Absolutely, it's going to be fantastic to have that going on. That's a terrific film. It's the third film I've done with Bob Kurtzman. The first one was The Demolitionist with Nicole Eggert and a whole bunch of other great people, and then the second one was Wishmaster and Andrew Divoff was in that, and a bunch of other great people there, too. And then this, and Andrew, of course, is in this as well. So yeah, I'm looking forward to see how... It's going to be fun to be able to just tune in and get that streamin' free for nothin'. So that's out there. Let's see, what else? Gangs of the Dead, which I did a couple of years ago, actually, has been showing up on cable quite a bit lately. Gee whiz, there's just a lot of stuff, like I said, that I did this year that I'm looking forward to actually seeing. There's one called Walking Distance that we shot in Texas in August. C-H: I just spoke to Adrienne King the other day, actually. Bannister: Oh did you? Good good. Oh, she's, y'know, what a terrific person. Well, she probably told you a little bit about Walking Distance. She was great in it. That's a really wacky thing, man, that paradigm, that story. It has some very Phantasm-esque kind of stuff going on, without ripping anything off. I mean, just “out there” stuff, you know what I'm saying? Another one, Satan Hates You, Angus is in that. Anyway, all this stuff is in post or just coming out of post and they're looking for distribution. So I'm thinking that 2009 is gonna be a pretty heavy Reggie year and I'm looking forward to that. C-H: I'm just glancing at your IMDb profile right now and the list of films that are in post-production right now -- eight titles. Wow. It's good for horror fandom, though, because you're one of the big names and we love watching your stuff. Bannister: Well, I love giving it to you. And I gotta say, Nate, that the stuff that I've been doing over the last two years has been so cool for me, because I've been stretchin' like a mutha. As an actor, you know what I'm sayin'? For example, in Walking Distance, I play a child molester. That's pretty far out. And in Acts of Death, I play a guard at a college -- not the sharpest knife in the drawer. His name is Gus and he was fun to play. I used George “Buck” Flower as my kind of model to play him. Y'know, kind of heavy-walkin'... I just saw George in this guy. You know, George was in Wishmaster with me and we had a great time shooting that scene that we had together. C-H: Before we go, is there anything you want to say to the readers of Classic-Horror.com? Bannister: Just that I appreciate you guys, all of you. If it wasn't for them, if it wasn't for you, and if it wasn't for the people that I meet at the shows, I wouldn't be on this phone with you right now, Nate. And I appreciate it. I have to tell you that I have a lot of friends in this genre, and we all feel the same way about the fans. The fans are the best. I've never seen any fans more loyal than the horror genre or the sci-fi fans, they're just fabulous. I want to thank you guys and keep a look out for my stuff. Oh, and one more thing. On CDBaby.com, I do have my new CD available, which is called Naked Truth. So if you want to go on CDBaby.com, you can listen to the tracks, see if you want to buy it, and take one home. 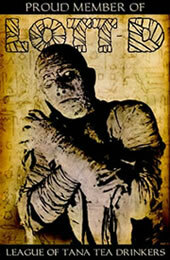 Classic-Horror.com would like thank Reggie Bannister for taking the extra time to talk with us. Remember, The Rage will be available on MonstersHD.com starting on November 27th. Reggie's new CD is available on CDBaby.com. Submitted by michael315 (not verified) on Tue, 2009-01-13 13:06.